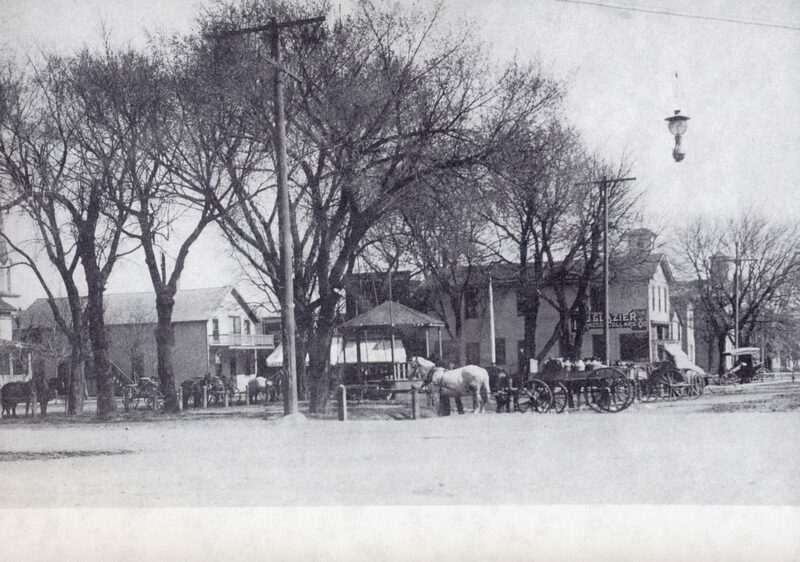 The first gazebo was built in the town square in the late 1800s. This gazebo, often referred to as a bandstand at that time in history, can be identified by its vertical wooden slats and dark columns. Note how small the town square is in this photograph. The buildings behind the gazebo were located west of the First Congregational Church. The second gazebo was built in 1910. Local mason, Andrew Schmidt, completed the cement and brick work. This gazebo had horizontal iron railings and a distinctive block foundation. 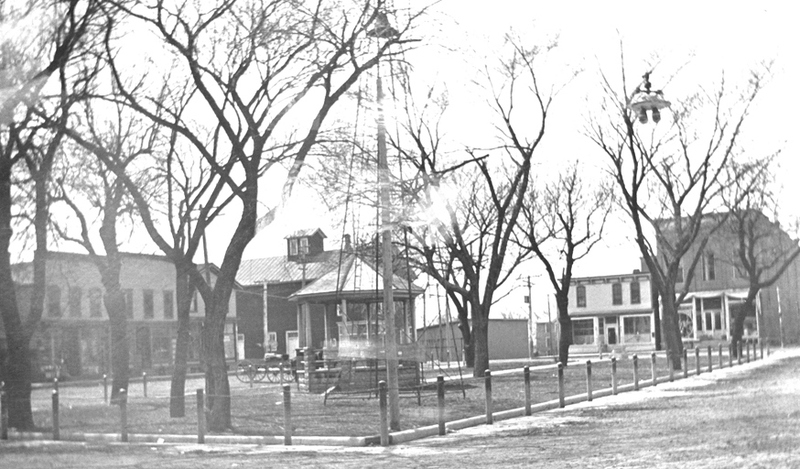 The gazebo stood for more than 80 years and was plaqued by the McHenry County Historical Society as a historic site on August 8, 1992. On November 22, 1993, the Village of Huntley razed the structure stating that the gazebo was structurally unsafe. 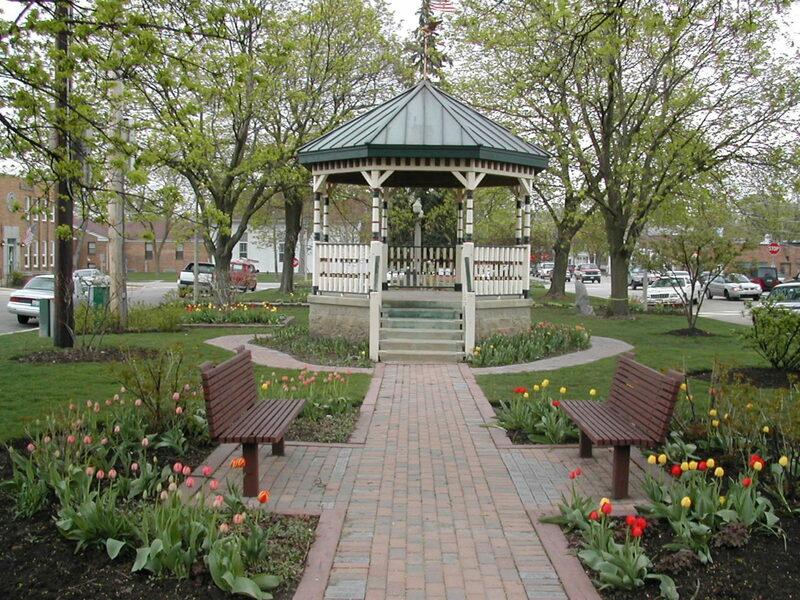 In 1994, local Huntley businesses pooled funds and resources to build the gazebo that now stands in the town square. The 2001 Huntley Sesquicentennial time capsule is buried in the center of the new copper-roofed gazebo. A copper eagle serves as a weathervane atop the gazebo.